Congratulations to tour winner Angel H. and to host winner Candrel's Crafts, Cooks, & Characters. Goddess Fish Promotions is organizing a Virtual Name Before the Masses Tour for Daughter of Madness by Amanda J. McGee, a Epic Fantasy available June 2. The tour will run every Monday for 8 weeks starting on May 7, and Amanda J. McGee is available for guest post and interviews. A PDF and epub copy of the book is available for review in conjunction with a guest post or interview. 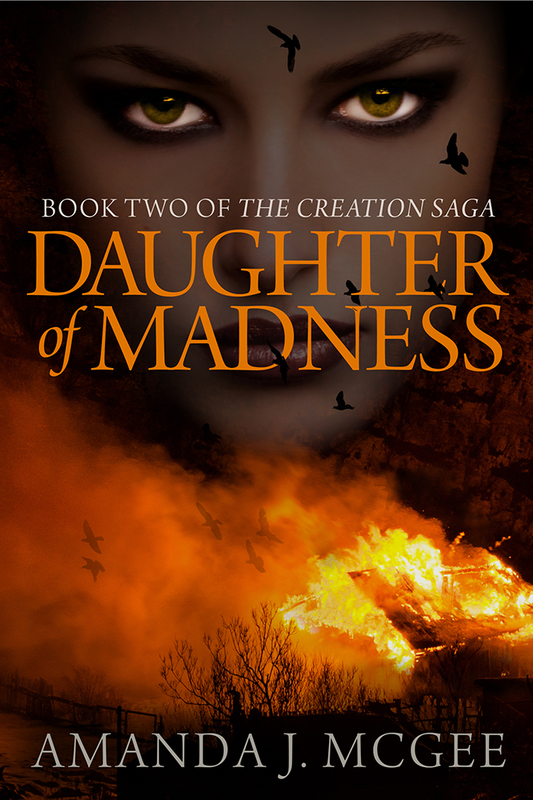 Amanda J. McGee will be awarding a copy of both published volumes of The Creation Saga: MOTHER OF CREATION and DAUGHTER OF MADNESS, (after the June 2, 2018 publishing date, US participants only) to a randomly drawn winner via rafflecopter during the tour, and a $10 Amazon or Barnes and Noble GC to a randomly drawn host.